South Australia’s grains research capacity has received a major boost with the Grains Research and Development Corporation (GRDC) today announcing the University of Adelaide had been awarded a grant for more than $1,100,000 to establish new research facilities at the Waite precinct. GRDC Chairman John Woods said the University of Adelaide had received a GRDC Grains Research and Development (R&D) Infrastructure Grant to build two new controlled environment growth rooms. In addition to the GRDC grant, the University has contributed almost $196,500 to the project. Mr Woods said the GRDC Grains R&D Infrastructure Grant was part of $15 million the GRDC Board had agreed to invest in a strategy to build national research capacity. “The purpose of the grant program is to boost capacity and capability in Australian grain research and development through funding key infrastructure, and to create enduring profitability for grain growers,” Mr Woods said. He said the new facilities would enhance grains research at the Waite and would reduce the limitations associated with sharing of current facilities by the University, CSIRO and the SA Research and Development Institute. In addition to the two new controlled environment growth rooms (CERs), the grant will enable the University to install LED lighting in glasshouses and the two growth rooms, and set up a heat and drought phenotyping system, a birdproof enclosure and a polytunnel. These investments are expected to improve trait selection and increase trait delivery to breeders, facilitate simultaneous drought and heat experiments, expand bulking and selection capacity, reduce research costs and improve energy use efficiency. Mr Woods said the significant grant from the GRDC recognised the importance and value of the University of Adelaide’s ongoing contribution to the Australian grains industry. University of Adelaide Interim Vice-Chancellor Professor Mike Brooks said the University was delighted to partner with the GRDC to enhance grains research facilities at the Waite campus. 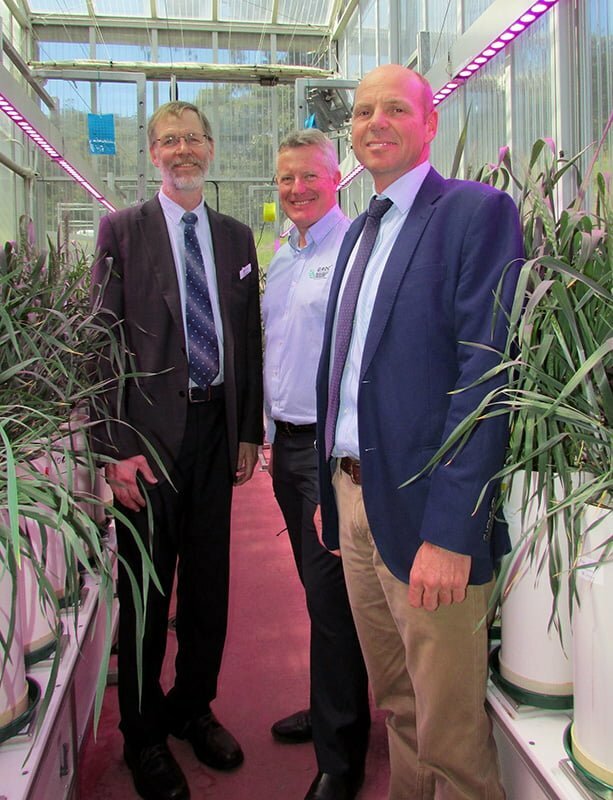 “This investment is part of our strategy to engage in innovative research that enables plant breeders to develop improved varieties for Australian grain growers,” Professor Brooks said. Dean of the Waite and Director of the Waite Research Institute, Professor Mike Keller, highlighted the long history of research and development by the University of Adelaide and Waite campus partners that supports the grains industry.